Card Masters within the game allow players to combine cards in order to have a chance at attaining a rare-quality card. The first step is to find a Card Master, and buy a Card Synthesis Stone. Then you’ll want to talk to the Card Master again in order to bring up the Combine option. This will finally bring you to the Card Combine window. 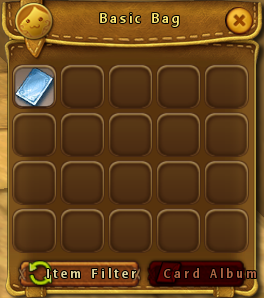 Place your cards in the slots on the top, or right-click them, and then place the card synthesis stone in the bottom. Once you hit combine, it will merge the cards into one, and if you are successful it will give you a new card! Card Synthesis has a chance to fail, and the player would receive nothing, but there is an item in the Kafra Shop that would make sure you don’t lose all your cards. That item is called Card Designated Synthesis. You can acquire it by itself, or in a bundle box. The Card Designated Synthesis item can be placed next to the Card Synthesis Stone. This allows the player to select a card to save in case of a failed attempt, and gives the player a preview of the rare-quality card they can receive. Combine, and you have a chance to get a rare card! Gather cards, find a Card Master, and start combining!